It's always great to see younger people completing the route and on our Gallery pages this year, we've had even more parents taking the challenge accompanied by their offspring. 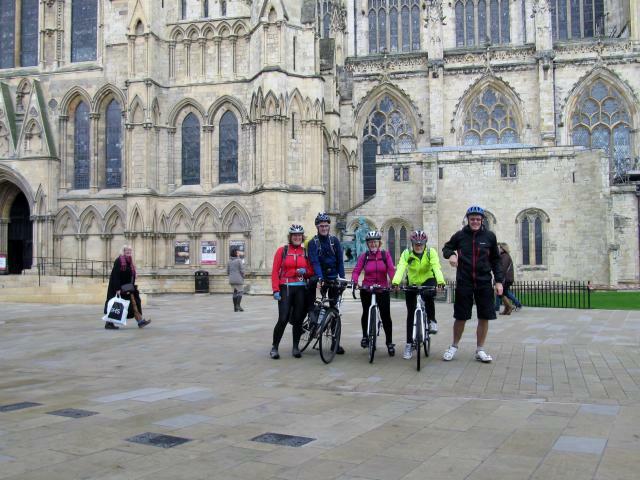 Martin and Karen Devine with 16 year old daughter Katie, and 2 cycling friends cycled the route at the end of October. They raised over £1500 for charity Devian House. If you've completed the route with children, let us have an account of your journey for our 'Your Stories' page and to inspire others.